Museum of the Cherokee. By the webmaster. The Thomas Legion Flag in 2007. Thomas' Legion, also known as Thomas' Legion of Indians and Highlanders, was the largest single military unit raised in North Carolina during the American Civil War (1861-1865). The legion consisted of infantry, cavalry, artillery, an Indian battalion, and it fired the Last Shot of the Civil War east of the Mississippi. Commanding Colonel William Holland Thomas was the only white man to have served as a Cherokee chief and his cousins included President Zachary Taylor and President Jefferson Davis. The Thomas Legion recruited Cherokee Indians, one of its soldiers was awarded the rare Confederate Medal of Honor, it served with General John C. Breckinridge (14th Vice President of the United States and cousin to Mary Todd Lincoln), was assigned to the same division as General George S. Patton's grandfather, and was the last Rebel unit to surrender east of the Mississippi. 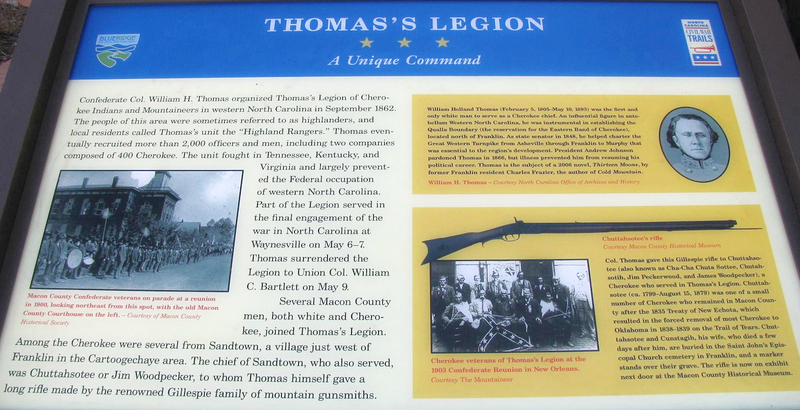 With the determination of Thomas' Legion, Union forces never subjugated Western North Carolina, and the command captured the Union occupied city White Sulphur Springs (present-day Waynesville), North Carolina, and was perhaps the only unit to have seized an enemy held city in order to negotiate its own capitulation. Whereas in 2003 the Last Surviving Union Widow died, her late husband had fought against Thomas' Legion some 140 years earlier. Thomas' Legion of Indians and Highlanders, commonly referred to as the 69th North Carolina Regiment, was officially organized by William Holland Thomas on September 27, 1862, at Knoxville, Tennessee. While its members were recruited predominantly from the Western North Carolina counties of Haywood, Jackson, and Cherokee, East Tennessee also supplied men for the unit. This independent command initially reported directly to Brig. Gen. Henry Heth and provided invaluable service in the defense of vital and strategic railroads, bridges and depots. Whereas the legion would spend a significant part of the conflict defending the sole railroad in East Tennessee, it was a rather thankless and monotonous task and one that would never grace the headlines. But on the other hand, when the Union army downed a bridge or tore up much track in the Volunteer State, it was front page news. While the command was frequently tasked with tenuous provost duties, it often found itself engaged with guerrillas, bushwhackers, and an ever emboldened Union foe. In May 1864 the regiment of the legion was detached and moved to Virginia to participate in Lt. Gen. Jubal Early's Shenandoah Valley Campaigns before returning to North Carolina. The legion would fight skirmishes and battles in Tennessee, North Carolina, West Virginia, Virginia, and as far north as Maryland, and would surrender at Waynesville, North Carolina, on May 9, 1865. Legions were rare and few rose to prominence, such as Phillip's Georgia Legion, Wade Hampton's Legion of South Carolina, and William Thomas' Legion of the Old North State. History of the Thomas Legion. Thomas' Legion of Indians and Highlanders. Selected officers of the Thomas Legion. Adams Brothers of Thomas' Legion. The infantry regiment was commanded by Colonel William Holland Thomas, Lieutenant Colonel James R. Love II, and Major (Lieutenant Colonel from October 1864) William Stringfield, and its cavalry battalion was under the command of Lieutenant Colonels James A. McKamy (captured by Brigadier General George Custer in the Third Battle of Winchester) and William C. Walker. During the conflict, this unit would also serve under various brigade generals. Col. William H. Thomas was the son of an Overmountain man who had fought the British at Kings Mountain, and on his mother's side, he was cousin to President Zachary Taylor. During the Civil War, he recruited both the Cherokee Battalion and Life Guard (Bodyguard) and was also present at "The Last Shot" in Waynesville. Thomas would serve as Cherokee chief and Confederate colonel for the duration of the conflict, and would die at the age of 88 in 1893. He remains the only white man to have ever served as a Cherokee chief. Lt. Col. William C. Walker initially served in the 29th North Carolina Infantry before joining the ranks of the Thomas Legion. While at home recovering in January 1864, he would be awakened and murdered by outlaws. Lt. Col. William W. Stringfield initially served as a private in the 1st (Carter's) Tennessee Cavalry Regiment before becoming Captain of Company E, 39th (William M. Bradford's) Tenn. Regiment (aka 31st Tennessee Infantry). He was elected as a member of the North Carolina Legislature in 1882-1883 and to the North Carolina Senate in 1901 and 1905. Stringfield married Thomas' sister-in-law, Maria Love, and would live five years after the First World War ended before dying of natural causes on March 6, 1923. (Right) The Adams Brothers of Cherokee (later Graham) County. Serving under Captain Willis Parker in Company I of the Thomas Legion, Alfred and Benjamin (top) were first cousins to Aseph and John Posey (bottom). Courtesy grahamcounty.net. Lt. Col. James R. Love II initially served as a Captain in the 16th North Carolina Regiment and fought bravely in the battles of Seven Pines, Antietam, Seven Days Battles and Second Bull Run. He was wounded at Seven Pines and saw the Elephant in Virginia while serving under generals "Stonewall" Jackson and Robert E. Lee. Love was first cousin to Sallie Love, Thomas' wife, and was a graduate of Emory and Henry College, studied law in Asheville, and served as a member of the North Carolina Legislature. After the war, the former Confederate would serve as a member of the North Carolina Constitutional Convention in 1868 and later in the state senate. Waynesville, a town that Love would often defend during the war, was founded by his grandfather Robert Love. He would then move to Tennessee and increase his landholdings, and while serving as a statesman, Love, aged 54, would die on November 10, 1885. "A great majority of the people were poor and had no interest in slavery, present or prospective. But most of them had little mountain homes and, be it ever so humble, there is no place like home — but when the Federal army occupied East Tennessee and threatened North Carolina..." Lt. Col. William W. Stringfield, Histories of the Several Regiments and Battalions from North Carolina in the Great War 1861-'65, Vol., 3, p. 734. 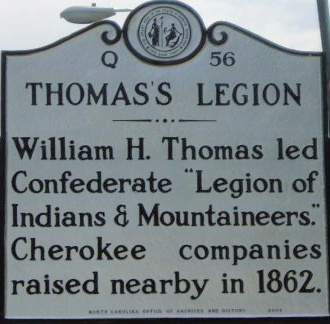 The namesake Thomas' Legion was in honor of Cherokee chief, senator, and lawyer, William Thomas, who was 57 years old when the unit officially organized. From the beginning of the Civil War, Thomas entreated North Carolina Governors Henry Toole Clark and Zebulon Vance, even with President Jefferson Davis, and various commanding generals that the mountaineers would be most effective as a locally employed guerrilla unit. These highlanders were a unique blend of individuals possessing in-depth knowledge and understanding of their region. Because of the lack of defenses, guerrillas reigned and unleashed terror on mountain communities for most of the war with impunity. Eventually, Vance, Davis, Generals Martin, Bragg, Buckner, conceded that a force such as the Thomas Legion would have been sufficient for defense of the region. "The town was perfectly alive with people who had come to witness the departure of these brave volunteers. The scene was one of thrilling interest and well calculated to melt the stoutest heart to sympathy and tears. The Buncombe Riflemen are composed of first rate material and if they get into any engagement will reflect honor upon themselves and their native section. They are pure metal, no mistake, and will contest every inch of ground with the enemy." Asheville [North Carolina] News, April 18, 1861. 1903 New Orleans Confederate Reunion. NPS. (About) The following caption appears under the original image: Above is shown the last photograph ever taken of the remaining members of the famous Thomas Legion, composed of Cherokee Indians in the Confederate Army. The photograph was made in New Orleans at the time of the New Orleans Reunion of Confederate Veterans. 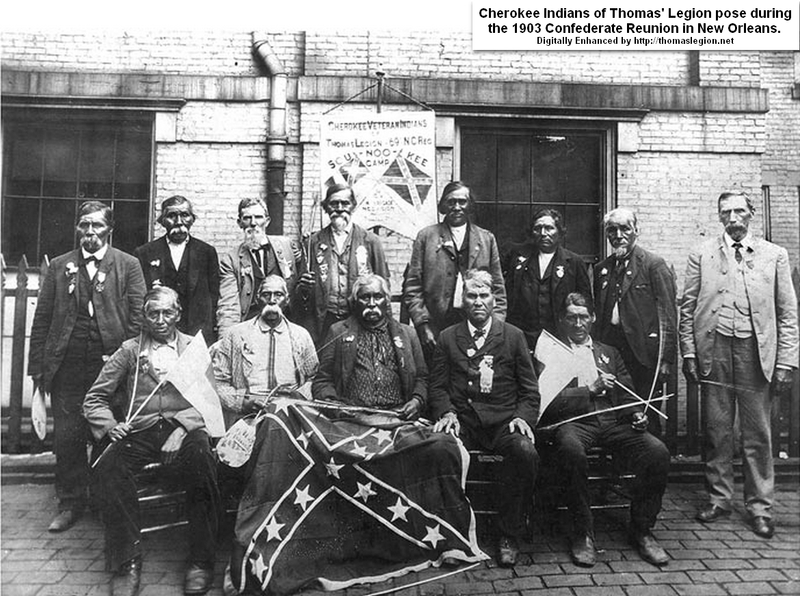 The inscription on the banner in the photo is as follows: Cherokee Veteran Indians of Thomas Legion. 69 N. C. Regiment. Suo-Noo-Kee Camp U. C. V. 4th Brigade, N. C. Division. Reading from left to right, those in the picture are: front row, 1 Young Deer; 2 unidentified; 3 Pheasant; 4 Chief David Reed; 5 Sevier Skitty; back row, 1 the Rev. Bird Saloneta; 2 Dickey Driver; 3 Lieut. Col. W. W. Stringfield of Waynesville; 4 Lieutenant Suatie Owl; 5 Jim Keg; 6 Wesley Crow; 7 unidentified; 8 Lieutenant Calvin Cagle. All of these men are now dead with the exception of Sevier Skitty, who lives one mile from Cherokee. Lieut. Col. Stringfield and Lieut. 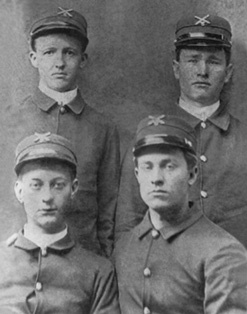 Cagle were white officers of the legion. 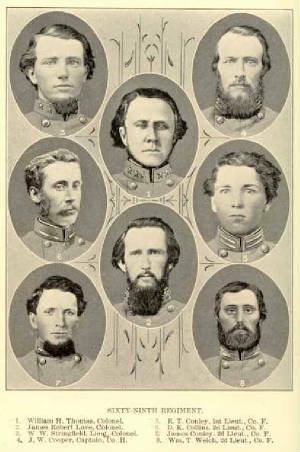 Names of the men in the photograph were furnished by James R. Thomas of Waynesville, son of the late Col. W. H. Thomas, who commanded the Thomas Legion. This band of Indians built the first road across the Great Smoky Mountains. "[A]n Indian [from Thomas' Legion] always executes an order with religious fidelity. They scrupulously respect private property—there are no reports of depredations where they are encamped. They are the best scouts in the world." Knoxville Register, February 21, 1863. On September 19, 1861, Davis believed that the Cherokee should be used to defend the "coast and swamps of North Carolina" (O.R. Series 1, 51, 2, p. 304) but, believing that the disease infested swamps would spell certain death of Indians who had never ventured beyond the scope of the mountains, Thomas presented a more practical strategy to which Davis would agree. The coastal area would also be the first of the state's three regions to capitulate, which allowed longer imprisonment and greater exposure to the numerous diseases at the POW Camps. The greatest threat to the Cherokee, nonetheless, would have been immediate exposure to the infested swamps. Thomas, who was in his mid-50s, had amassed a lifetime of experiences prior to the war, and he demonstrated a rare ability by earning the respect and loyalty of both Cherokee and Western North Carolinian. 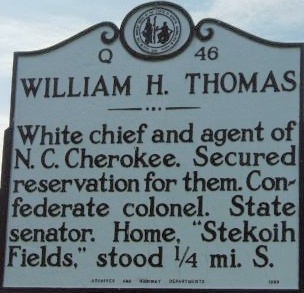 As a boy, Thomas was adopted by the Cherokee, and he later defended their rightful claims as an Indian agent before becoming Chief of the Eastern Band. He also acquired the trust and confidence of his fellow mountaineers by serving in the North Carolina Senate, and as a self-taught lawyer, he was able to persuade Washington to exempt some 1000 Cherokee from the Trail of Tears. The Western North Carolinians had fought the Cherokee for decades, so if they decide to fight in the American Civil War will they join the North? Will they remain neutral? On the other hand, the Cherokee had entered into six separate treaties with the United States between 1777 and 1835. In each case, federal authorities had sought to extend the frontiers of white settlement by extinguishing Indian title to land. The U.S. had broken several promises, including President Andrew Jackson's unconscionable betrayal of Chief Junaluska and his Cherokee. The great warrior and chief had saved General Jackson's life at the Battle of Horseshoe Bend, but when "Old Hickory" was elected the 7th President, he would eagerly force the Cherokee from their homeland. By the 1860s, however, the highlanders and Cherokee were neighbors and friends, and intermarriage with neighboring whites was common. Prior to his death, Yonaguska had commanded his people to obey Thomas as his successor as newly appointed chief. In 1883, Ziegler recorded that "before Yonaguska died he assembled his people and publicly willed the chieftainship to his clerk, friend and adopted son, W. H. Thomas, who he commended as worthy of respect and whom he adjured them to obey as they had obeyed him. He was going to the home provided for him by the Great Spirit; he would always keep watch over his people and would be grieved to see any of them disobey the new chief he had chosen to rule over them." Enforcing Jackson's Indian removal policy, General Winfield Scott moved the Cherokee during the Trail of Tears, which resulted in 4,000 dead Indians. The Cherokee still refer to the Trail of Tears as Nunahi-Duna-Dlo-Hilu-I or Trail Where They Cried. It was on this perilous trail that Principal Chief of the Cherokee Nation, John Ross, had lost his wife Quatie. (See also Cherokee Declaration and the American Civil War and American Indians in the Civil War.) Scott was a veteran of the War of 1812, hero of the Mexican-American War, former presidential candidate, and when in hostilities began in 1861, the aged hero was appointed General-in-Chief of the Union Army. He was credited with Anaconda Plan, a strategy designed to quickly end the conflict. Other notable soldiers of the Mexican War included Robert E. Lee, Braxton Bragg, U.S. Grant, "Stonewall" Jackson, Zachary Taylor, and Jefferson Davis. On September 15, 1861, two Cherokee companies, 200 soldiers, answered the call to arms. These 200 Indians were originally known as the Junaluska Zouaves — in honor of Chief Junaluska — and Thomas also referred to them as the North Carolina Cherokee Battalion. (Cherokee Battalion, O.R., Series 1, 51, II, p. 304, and O.R., 1, 49, Part 2, p. 754). By the end of the war, muster records contained the names of almost every able-bodied Cherokee, about 400 soldiers, from North Carolina who had served in the Confederate Army. Their loyalty was to Chief Thomas and then to the Confederacy. And according to O.R., 1, 53, p. 314 and census records of the time, slavery wasn't an issue for Cherokee serving in the army. "North Carolina cannot remain much longer stationary; she must write her destiny either under the flag of Mr. Lincoln and aid to coerce the south or unite with the south to resist and defend their rights." William Holland Thomas to his wife, January 1, 1861. John C. Inscoe, The Heart of Confederate Appalachia: Western North Carolina in the Civil War. Jefferson Davis, future President of the Confederacy, had married the young Sarah Knox Taylor, the daughter of President Zachary Taylor and cousin to William Thomas, but although she would pass away just three months later from malaria, it would serve to establish a bond between Davis and Thomas, one that would benefit the colonel during the war. When Gen. Edmund Kirby Smith, commander of the Departments of East Tennessee and Western North Carolina, for instance, opposed allowing the aged colonel the latitude of operating his legion as an independent command early in the Civil War, Thomas merely consulted with President Davis, who then countermanded Smith's order. During the 1840s, Thomas would often visit then Congressman Davis during his many visits to Washington while lobbying for the Eastern Cherokee and their right to remain in their ancestral land. 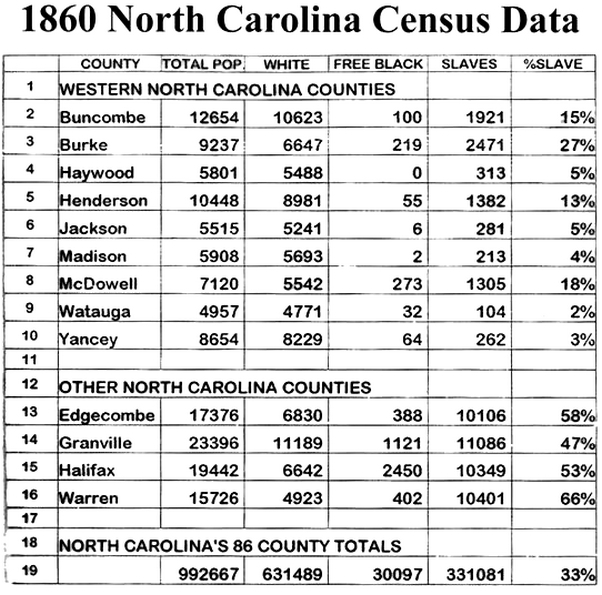 1860 US Census for North Carolina Counties. 1860 US Census for North Carolina. The Thomas Legion Historical Marker. Thomas believed in defensive guerrilla warfare and, since the Union army typically outnumbered the Confederate army by more than two-to-one, he wisely opposed the traditional Napoleonic Tactics. The commander was not a Fire-Eater, he initially opposed secession, and during the war a $5,000 bounty was offered to "anyone that would assassinate the Confederate Chief." "Many of them [Thomas' Legion] joined with the promise that they were not to be taken out of the State except in the North Carolina mountain of defense." Captain Robert A. Akin, Company H, Walker's Battalion, Thomas' Legion. Roman Emperor Hadrian and the world’s greatest military power were dealt crippling blows by guerrilla bands in the early second century. Because of Rome’s losses to guerrilla raids from the north, it succumbed to a stalemate and constructed a massive wall, known as Hadrian's Wall, to separate the Roman Empire from northern Britain -- presently referred to as the Scottish Highlands. The Roman footprint never stepped beyond northern Britain, and Hadrian's Wall was a great guerrilla victory. Applying their familiar terrain and home field advantage, King Leonidas and his 300 Spartans, with Greek allies, defended the Pass of Thermopylae and inflicted as many as 20,000 casualties on the invading Persian Army. Prior to surrendering the Army of Northern Virginia, Gen. Lee seriously contemplated disbanding the army, creating a massive guerrilla force, and relocating it to the mountains. And in more recent history, the Vietnamese excelled in guerrilla warfare and proved to be a formidable foe. Both Bragg and Black had voiced the region's deplorable state during the month that the regiment, Thomas' Legion, was ordered to the Shenandoah Valley. But exigencies of war had moved most of the Department of East Tennessee and the Western District of North Carolina into the valley and attached it to the newly formed Army of the Valley under the command of Gen. Jubal Early in an attempt to draw as much of Grant's army away from Lee in Virginia. Remaining in the mountains was a skeleton force that would in no wise be capable of defending such a large parcel of real estate. Bushwhackers were now lords of the land and they plundered East Tennessee and Western North Carolina with little to no resistance. One incident, the Shelton Laurel Massacre, cast a dark shadow over the region, and such lawlessness and mountain madness contributed to the desertions of the Thomas Legion, as well as other units, as men returned home in hopes of protecting their families. There are many references to the area's deplorable conditions during this time. See O.R. Series IV, 2, 732, O.R., 53, 324, O.R., Series 1, Vol. 32, pt. II, pp. 610-611, O.R., 1, 53, pp. 331-335, and Jefferson Davis' Letter of Confidence in Thomas' Legion - January 4, 1865. While Thomas and the Cherokee Battalion were assigned to Western North Carolina, the diplomatic colonel persuaded and recruited dozens of Confederate deserters to the Thomas Legion and together they fought the enemy, but his actions resulted in a court-martial, yet similar to other court-martials that the former senator received, Davis merely overturned it. Thomas, who would be 60 years young in 1865, was an experienced leader, hands on manager, capable planner, and skillful organizer, but many of his proposals to Richmond fell upon apathetic ears. He voiced his opposition to the Confederate draft, known as the Conscription Act of April 1862, and stated that it would "force the pro-Unionist, tory, and abolitionist to flee," meaning it would cause desertion on a broad scale — and it did. Thomas presented an alternative that would allow the citizens to be used as Home Guard and in non-combatant roles such as sappers, laborers, and miners. The Cherokee chief requested that all slaves should be emancipated and employed as engineers and laborers — but of course the idea was rejected. He desired to allocate the highlanders strictly as a local defense force, since they were the most familiar with the area, but another rejection was in order. Southern Appalachia would become host to bushwhackers, bands of deserters, and escaped Union prisoners that would collectively unleash and create a swath of carnage as saboteurs and insurgents of the 19th century. 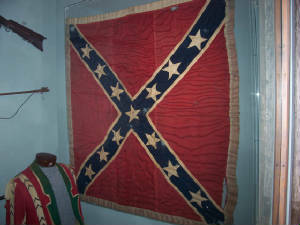 In 1864, Thomas proposed a blanket amnesty bill to Headquarters of the Confederate States in a broad attempt to bring calm to an already ravaged region by pardoning all deserters, abolitionists, outliers, and pro-Unionists in hopes that a good portion of these fighters would then be employed as Home Guard in the North Carolina mountains that they had recently swept with terror. His amnesty solution, like the greater majority of all his requests to Richmond, failed to materialize, so war crimes would continue until the war ended. In May 1865, one month after Lee had surrendered to Grant, Thomas was in White Sulphur Springs (present-day Waynesville), and without interference from headquarters on this occasion, he would surrender on his own terms, and it would include deception in textbook fashion that would have made Sun Tzu proud in The Art of War, when he said that "all warfare is based on deception." The Rebel chief would first utilize every available Cherokee to commit bluffs of epic proportion, meaning psychological operations and warfare, before he brilliantly captured the Southern city that had only recently surrendered to the Union force now occupying it. See also Cherokee War Rituals. Map of Civil War railroads. The Thomas Legion spent much of the war defending the sole railroad in East Tennessee. The Thomas Legion's soldiers were initially armed with outdated "dusty flintlocks" and "bored-out squirrel rifles." Later, its soldiers were equipped with captured modern Enfield Rifles. "The mountains are pouring forth their brave sons in great numbers." Raleigh Register, July 9, 1861. In September 1862, Thomas was appointed Colonel of the Legion, and the unit would soon field some 2,500 officers and men, formed in infantry, cavalry, and a light artillery battery. The organization was a Roman Legion styled unit operating under one command. Though originally formed to protect the Cumberland Gap and Western North Carolina landscape, the unit was involved in many battles throughout the South. The legion defended the vital and strategic Saltworks and railroads (O.R., Ser. 1, Vol. 16, pt. II, p. 716) and was instrumental in constructing and maintaining the Cumberland Gap supply lines, and in 1864 a fragment of the unit moved into the Shenandoah Valley where it engaged the likes of Sheridan and Custer. 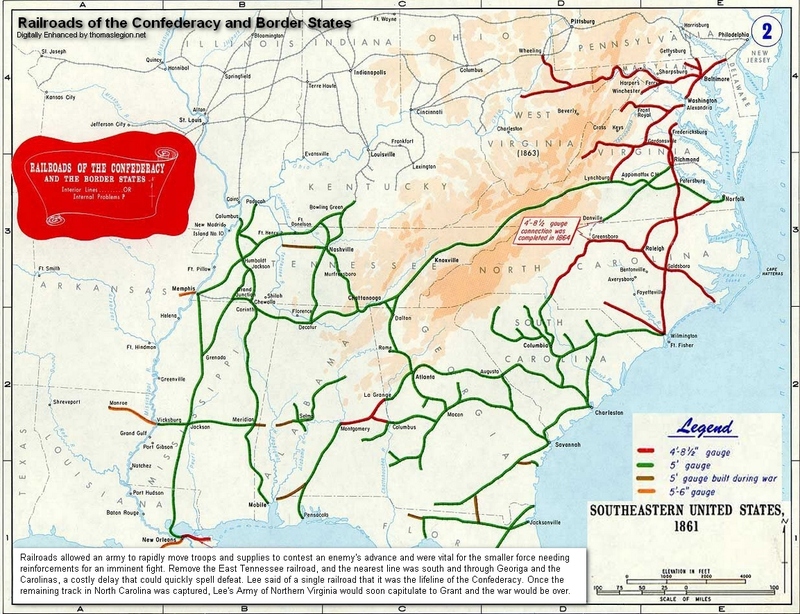 The Confederate supply routes were constructed by the legion in the Great Smoky Mountains during the harsh winter of 1862, with the main objective to connect with the Confederate forces in East Tennessee. The force also guarded the Cumberland Gap, fought the Union army, practiced countless hours of drills, and fought bands of outlaws, deserters, and bushwhackers — which generally operated as saboteurs. Engaging and fighting bushwhackers was contrary to fighting an organized army in lines of battle, where Union and Confederate armies applied Napoleonic Tactics and marched into battle, squared the opponent, and attrition generally determined the victor. But bushwhackers were masters of the ambush with deception and swift attacks applied to their advantage. The ambush tactics of the many elusive units hiding behind trees and in ravines, enabled them to inflict costly losses on an enemy and then vacate the brush quickly. "I have it from the lips of some Union leaders that the Federal forces intend to sack Asheville, as soon as they can possibly get there. They actually hate Asheville with a perfect hatred." Lt. W. F. Parker while stationed near Knoxville. [Parker was a Confederate soldier from Buncombe County.] Asheville News, February 27, 1862. One consideration now animates us all. What will ensure success not what would be most agreeable to us. The Legislature appropriated two millions of dollars to defend Eastern North Carolina and the Western frontiers? Both are now in danger. The western Counties are in danger of being over run by deserters and renegades who by the hundred are taking shelter in the smoky mountains. The men between 35 and 40 west of the Blue Ridge should be furnished with arms and ammunition, and required to aid in guarding their homes and the Confederate should be required to place Military compys at every trap in the Smoky mountains from Ashe to Cherokee. As long as we can hold the Country encircled by the Blue Ridge and Cumberland mountains and their outside slopes we have the heart of the south, which commands the surrounding Plains. The loss of this country larger than England or France is the loss of the Southern Confederacy and we sink under a despotism. W. H. Thomas. Christopher M. Watford, The Civil War in North Carolina: Soldiers' and Civilians' Letters and Diaries, 1861-1865. Volume 2: The Mountains, 79. The enforcement of the Conscript law in East Tennessee has filled the mountains with disaffected desperadoes of the worst character, who joining with the deserters from our Army form very formidable bands of outlaws, who hide in the fastness, waylay the passes, rob, steal, and destroy as pleased. The evil has become so great that travel has almost been suspended through the mountains. John C. Inscoe, The Heart of Confederate Appalachia, Western North Carolina in the Civil War, 114. Recommended Reading: North Carolina Troops, 1861-1865: A Roster (Volume XVI: Thomas's Legion) (Hardcover) (537 pages), North Carolina Office of Archives and History (June 26, 2008). Description: The volume begins with an authoritative 246-page history of Thomas's Legion. The history, including Civil War battles and campaigns, is followed by a complete roster and service records of the field officers, staff, and troops that served in the legion. A thorough index completes the volume. Continued below.